Taking notes by either typing or handwriting with a stylus or finger. One app that we have had as part of our core "toolbox" for our students is Noterize. We made Noterize available to our students because it combined the functions listed above in one, easy-to-use app. Further, it functions well with Box, the cloud file storage system we use. Better yet, it became free in the summer of 2011. While it has not been a perfect tool for our students -- some students experienced the app crashing with loss of homework -- for many, it has been effective. 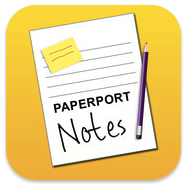 Noterize disappeared from the App Store a few weeks ago and has reappeared with a new company and a new name: Paperport Notes. There are a few new interesting note-sharing features that are not directly relevant to our student community this year but are worth investigating. We're also hoping that some bug fixes made it into this revision. We're hopeful this is a first step towards a larger update. But don't get me wrong: Paperport Notes, especially at it's free cost, is definitely worth investigating! 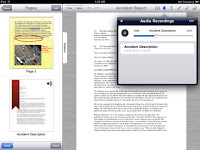 Do you use or like Paperport Notes? Or have an alternative app that you love? Please comment below! This is great to see! We have lots of new features coming over the next few months. If you have any specific enhancement requests please send them along to paperportnotes@nuance.com. All of those emails come to me personally. Thanks again for using this App! 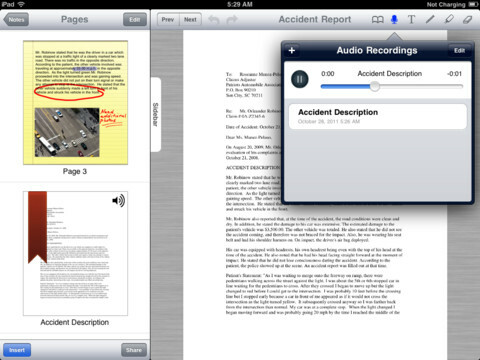 Some new features released this week including Dragon Dictation - more to explore!